First Saturdays – Announcing Monthly Showcase with Independence Brewing Co. Independence Brewing Company’s First Saturdays are back in full swing and Austin Music Foundation is excited to be a part of the fun! Starting April 1st, AMF will be partnering with Independence Brewing Co. to bring one helluva music showcase that will help benefit AMF. Independence Brewing is excited to announce a new partnership with Austin Music Foundation for the brewery’s popular First Saturday events. 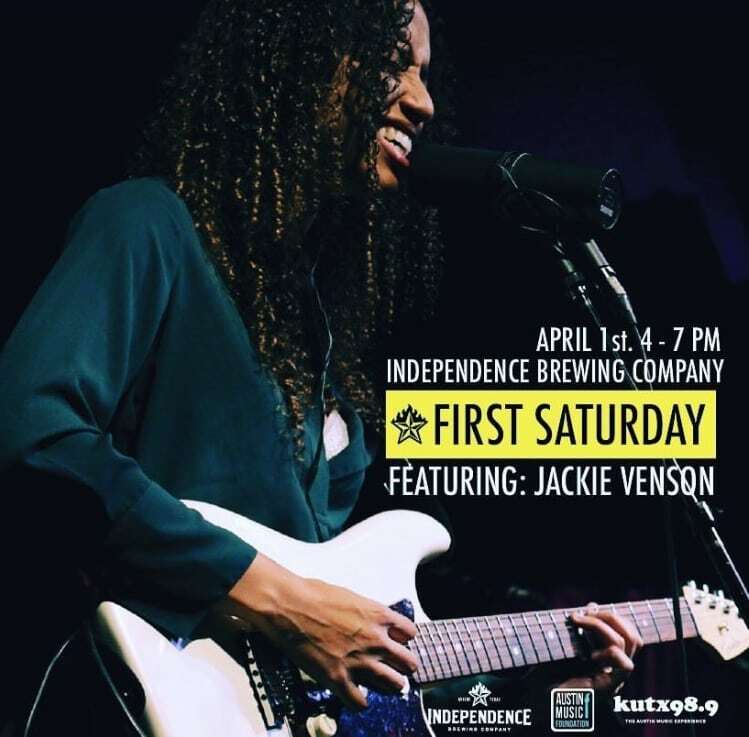 Kicking off on Saturday, April 1, the event at Independence Brewing (3913 Todd Lane #607) will showcase a lineup of live music throughout the day, highlighted by Jackie Venson who is a part of AMF’s inaugural Artist Development Program and an Artist of the Month alum. 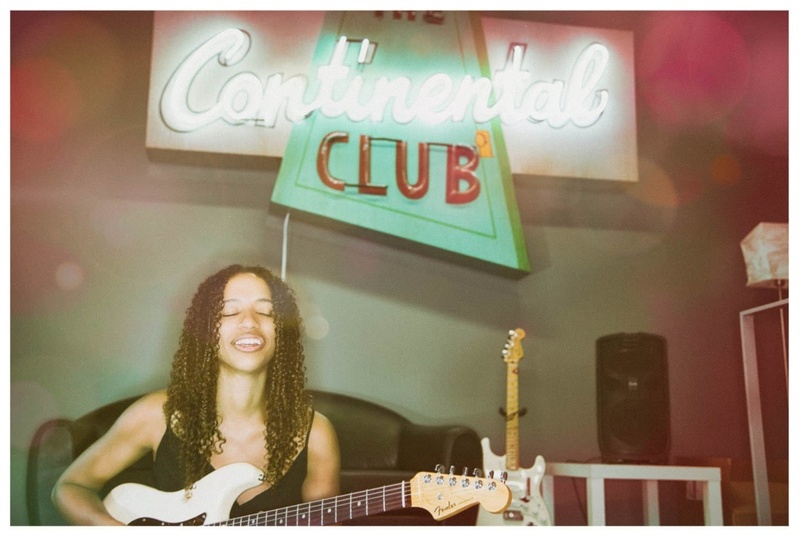 Jackie is on a rocket ship to the top of the Austin music scene and beyond… thanks to her mesmerizing guitar playing and smokey, soulful voice. She’s played with some of the biggest names in Austin and traveled the world playing her music. Don’t miss this opportunity to see Jackie play! Each month, Independence will work with AMF to curate a music showcase lineup featuring two opening acts followed by a headliner playing from 6-7pm, during which time a portion of sales from the tap room will directly benefit the Austin Music Foundation. The partnership was a natural fit for Independence, a brewery that over the past thirteen years, has maintained a close connection with and support for musicians, artists, and important local organizations that promote the arts. The long-running popular monthly event continues to offer a full lineup of live music, local food vendors, brewery tours, and of course, a multitude of quality craft beers. The event is FREE but wristbands are available for purchase and include three beers for $10 (includes any 16oz house favorites and 10 oz of beers that are 8% abv or over. Does not include limited release beers). The brewery doors will open at 1pm, with music starting at 4pm. Jackie Venson will headline the event from 6-7pm, and a percentage of bar sales will be donated to AMF during this hour. This event is free and open to the public. All ages welcome, but must be 21+ to drink. Come out, have a cold one, and enjoy some of Austin’s best local music while supporting AMF! 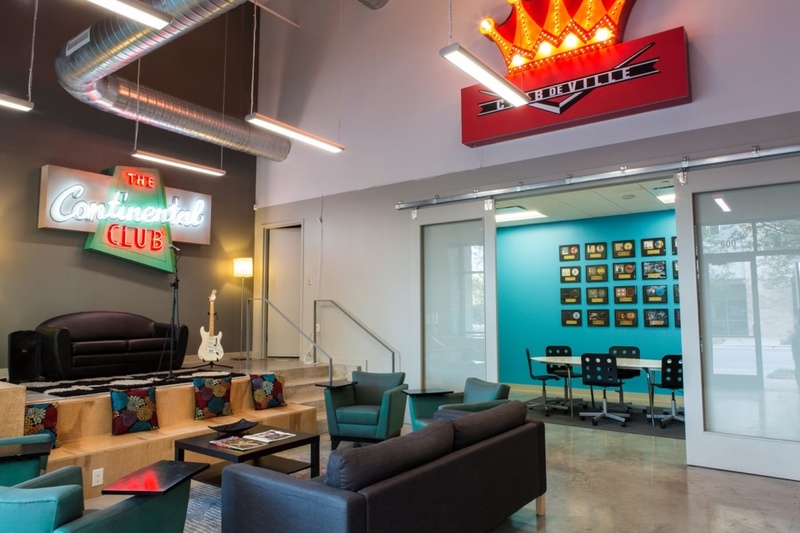 Over the past 15 years, the Austin Music Foundation has helped over 15,000 local musicians and music industry professionals and remains committed to ensuring that Austin’s creative class and music industry businesses thrive.